Czech Aircraft Works, s.r.o. (CZAW) is the manufacturer of the Zenair line of aircraft models : CH 701SP STOL and CH601 ZODIAC 601 Series aircraft under a license agreement with Chris Heintz. 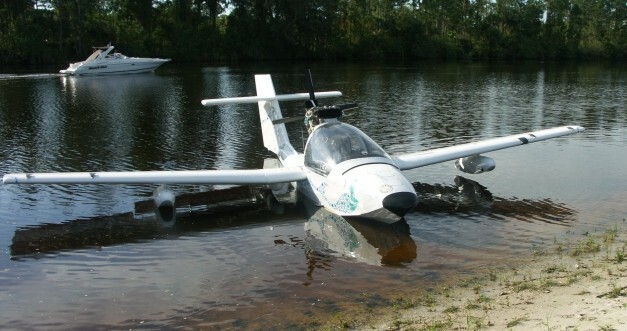 CZAW also manufactures its own line of aircraft starting with the amphibious Lake Sport Mermaid, and a line of straight and amphibious floats fitting many brands of aircraft. In just 8 years Czech Aircraft Works has grown to be one of the world's premier light sport aircraft producers. CZAW now has over 130 employees and ships over 150 aircraft per year. CZAW builds primarily American-designed aircraft, built with American materials (to American standards) and standards. CZAW imports tons of aircraft grade aluminium sheet, chrome-moly tubing, and military-spec hardware from the USA for use in production. The all-new Mermaid is the first amphibian to be designed especially to comply with the FAA’s new Light Sport Aircraft rules. It is also the first new certified single-engine amphibian to reach production in decades. The design parameters were challenging: make a certifiable, roomy amphibian that will fit the LSA rules (2-place, 1432 pounds gross, low stall speed), and that will be affordable, reliable, and fun to fly; then give it the speed and range to be practical as a transportation device, and dual controls, for training and peace of mind. Of conventional all-metal design, the Mermaid is built by European craftsmen, with US-sourced materials. Its five watertight compartments are built with EDO-style pump-outs. The slipper-clutch Rotax 912ULS puts out 100 reliable horsepower while burning well under 5 gph. The useful load is over 500 pounds, and the large baggage area is located nearly on the CG, to make its capacity truly usable. The wide cockpit is comfortable; and it affords a large panel area. Versatility is the hallmark of true amphibians: even the energy-absorbing seats are quick-removable, so the Mermaid can double as a dockside bed, making those remote camping trips all the more enjoyable. The hydraulic-damped tricycle gear retracts, and the pilot has visual confirmation of gear position, as well as the usual indicator lights; and the stable, quick-planing hull allows water takeoffs, at gross, in just 750 feet. The fast (for a Sport Pilot-class aircraft) yet docile air manners are made possible by a streamlined fuselage and modern-design airfoil that provides very high lift and low drag, throughout the Mermaid’s speed range. This wing, coupled to fowler flaps, permits landings on land or water in just 500 feet. At roughly the price of a luxury sedan, the Mermaid offers what that car simply cannot: point-to-point navigation, no-speeding-ticket cruising, with an incomparable view… and of course, the ability to float. CZAW designed the Mermaid after its experience in building over 600 all-metal aircraft and hundreds of aluminum floats. In fact, the company’s airplanes and floats have taken home the Schneider Cup three times: CZAW is recognized throughout Europe as a premier design, engineering, and manufacturing centre for seaplane technology. Everything about the Mermaid indicates long and reliable service: full zinc chromate coating, AN and MS-series fasteners, US-sourced aircraft aluminium and tubing; and its solid, conventional design promises not only outstanding longevity – it is repairable anywhere, without relying on “special” production and inspection techniques.